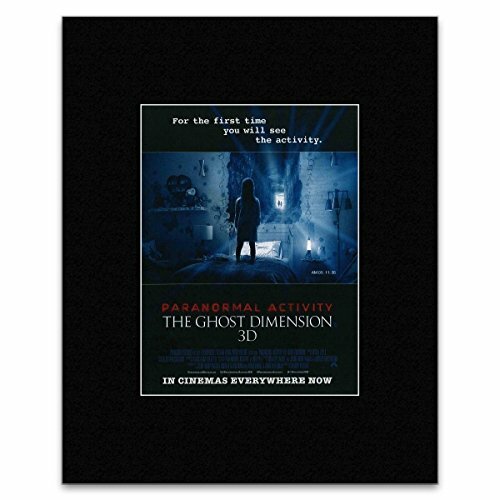 This Paranormal Activity matted print is an original piece of commercially printed artwork. It is not reproduced or copied in any way. The print has been matted using premium quality black or white mount board. All prints are pressure mounted onto quality Kraft board for rigidity and weight. The complete item is ready to be framed and most fit into standard sized frames which are widely available. All pieces are supplied in a protective sleeve and are shipped in reinforced cardboard envelopes to ensure they reach you in perfect condition. Please Note: size listed is of the image only images come pre-made from our supplier. THIS IMAGE IS AN ADVERTISEMENT TAKEN FROM A ENGLISH MUSIC MAGAZINE. If you have any questions about this product by NME, contact us by completing and submitting the form below. If you are looking for a specif part number, please include it with your message.